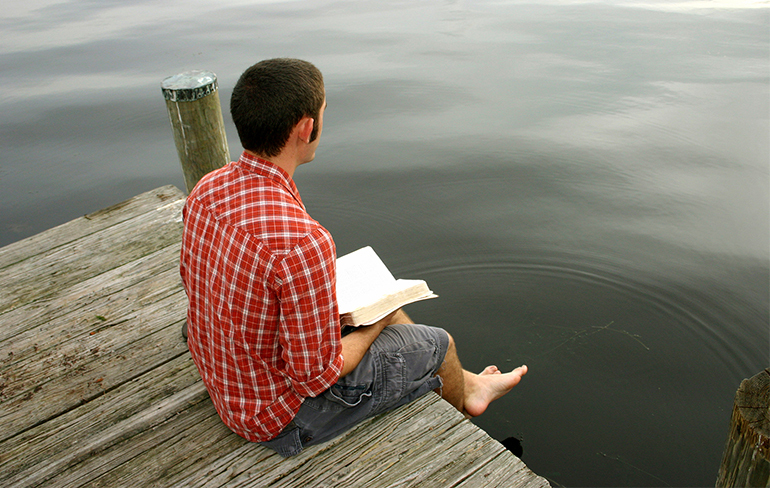 He became totally immersed physically, cognitively, emotionally and spiritually in the Word. The Gospel helped Francis move closer in love to Christ. “his entire life being transparent with the Holy Spirit’s activity of inspiring us to live as children of God. The Secular Franciscan Order Rule 4 says: “Secular Franciscans should devote themselves especially to careful reading of the gospel, going from gospel to life and life to gospel.” This rhythm is the foundation of the symphony of our lives. The Gospel gives us perspectives with which we interpret life. The Gospel offers us values that guide our actions. The Gospel gifts us with the inner spirit that governs our relationships. The Gospel helps us take action that reflects gospel attitudes on social issues and the judgements we make in daily life. We do not presume to know the Gospel completely nor do we implement it with perfection. Daily life is where we continue our growth both in knowledge of the Gospel and its implementation. Our Franciscan symphony combines the rhythm of learning and doing the Gospel – day after day after day. We commit ourselves to this process. Without the Gospel we would be lost, feel isolated or threatened, inadequate or despairing. If we only READ the Gospel and never APPLY it, we would be hypocrites with big words but small actions. If all we did was act without knowing the Gospel, we might simply be going through the motions. One role of fraternity life is to nudge us to go from gospel to life – life to gospel! We are gospel people and the Sacred Scriptures are vital to our lives. Since we desire to implement the Gospel, we have to know the Gospel. Bible knowledge does not come magically. It takes work. We are NOT fundamentalists who can quote chapter and verse. Instead we show the implications of the Gospel by the way we live. Neither are we Lone Rangers using Scripture texts to support what we want to do, nor are do we group together as a club to subdue others in an argument. Our goal is not to be intellectual biblical scholars but people who practice what we learn from the Bible. We avoid using the Bible as a club to judge and punish others or win arguments. It is not an exercise to see how many texts we can memorize. We will never exhaust the full meaning of Scripture. Hence our lifelong commitment is to continue the journey of learning and applying the Gospel in daily life. Bible Reading isn’t just for indoors! Take it for a walk – feel the words within Creation. 1. Our guidebook is the Bible – we use it! 2. Jesus and his words have special value to us. We listen to him. 3. In fraternal gatherings we share insights and reflections for implementing the Gospel in everyday life. 4. When we are puzzled about texts, we seek competent help. 5. We avoid fundamentalist attitudes that limit the power of Scripture. 6. We work to deepen our understanding of Scripture. 7. We avoid attitudes that use Scripture to condemn others or identify them as non-salvageable. 8. The circle of our love must never become narrow. We seek to include rather than exclude people. 9. We use Scripture for prayer as well as study, letting its power touch us and soak into our lives. The Gospel is our guide when we assess the values and attitudes of society that are in conflict with the Gospel. We face situations where our commitment to gospel ideals will be challenged. Our awareness of personal weakness keeps us from judging other who experience the same weakness. We are called both to confront in love and to walk with people who are struggling. Our culture may canonize people for the wrong reasons. Profit-making does not make people good. Isolationism doesn’t reflect the gospel call to welcome others. Tough mindedness may be needed at times, but it is not a lifestyle to be embraced when it diminishes people’s dignity. Following the Gospel is neither easy nor simple. It may be difficult to confront a generous benefactor whose business practices are counter to the Gospel. Friends we care about are not always gospel-value people and it’s hard to deal with them lovingly. Our own failures are not easy to address. There is little doubt that we need another’s help on this journey. Lester Bach OFM Cap & Teresa V Baker OFS.